This luxe necklace from Susan Shaw adds a chic dose of drama, day or night. 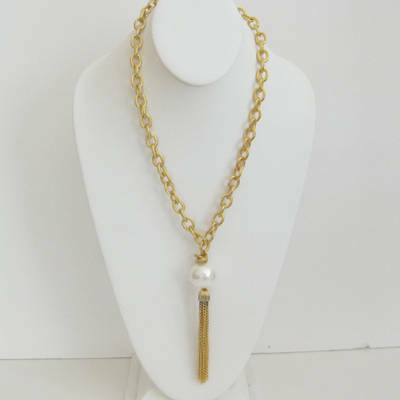 Finished with a white Cotton Pearl tassel fringe, the Y-silhouette is beautifully crafted in 18k gold-tone mixed metal. Approximate length: 18 inches. Approximate drop: 3 inches.